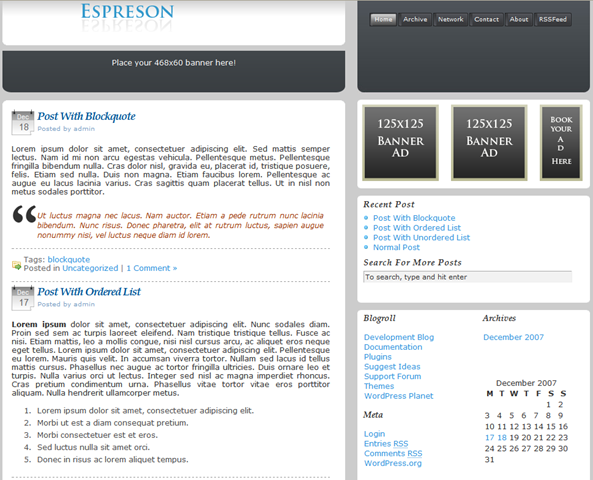 It’s a new venture for Espreson to design a WordPress Theme. Although it’s not finished, but 70% work is done. As I finish up coding and designing this theme will be available at FREE of cost. Now if you want to take a glance of this theme. Here is. This theme will be optimized for advertisement as well as blog content visibility & readability. So, wait till it get released.